Many people have heard about God, or they think they know God, but so few have really had an encounter with Him. Having a relationship with Jesus Christ, once you accept Him as your Lord and Savior is a life changing experience that you will never regret. If there is a sinner out there I encourage you that all you have to do to get rid of that sin nature that causes you to live so contrary to what God has intended for you to live, all you have to do is merely believe in the Lord Jesus Christ as your personal Savior and Lord, know that He is the Son of God, that He did die on the cross for your sins, that He was buried, and that He rose on the third day. 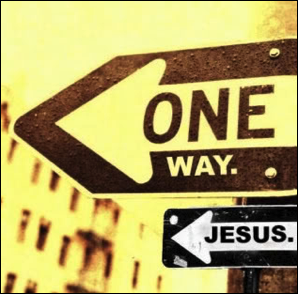 All you have to say is, "Lord Jesus, I realize that I am a sinner and I don't want to be like that any more. I need you in my heart, right now I am confessing that I believe that you are the Son of God, that you did die on the cross for my sins, that you were buried and that you rose again on the third day and I know I need a Savior. I receive your forgiveness for my sins and I am inviting you into my heart as my Savior and my Lord". Congratulations!!! Welcome into the family.